The Ring Video Doorbell 2 and the third-generation Echo Dot are $170 at Best Buy. 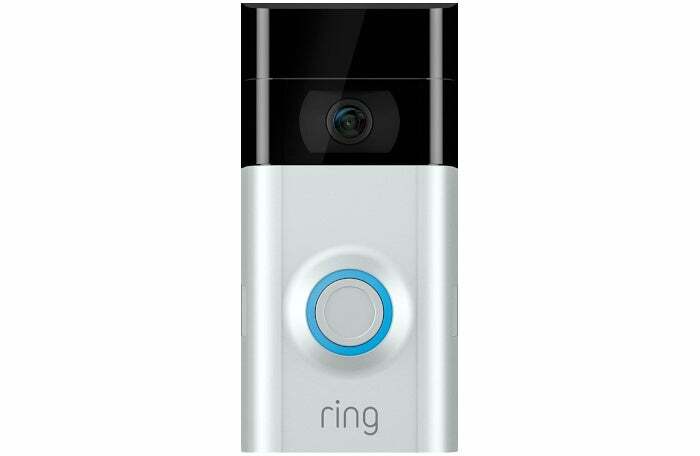 If you’re still searching for an ideal gift for the smart home fanatic in your life, consider the Ring Video Doorbell 2. Right now, the Ring sequel is $170 at Best BuyRemove non-product link and many other retailers, but Best Buy sweetens the deal by adding a third-generation Amazon Echo Dot for free. Best Buy had a better early Black Friday deal when this bundle was $140. Still, $170 is a great price and well below the non-holiday pricing of $250. We reviewed the Ring Video Doorbell 2 in August 2017. We found the install process a little frustrating, but overall it’s a solid improvement of the original. The device features a 1080p wide-angle view video camera, motion detection, and a built-in mic and speakers for two-way audio. You can also sign-up for Ring’s premium services such as Ring Protect that includes cloud storage of video events for up to 60 days. All Ring owners get live video streaming and remote interaction with visitors for free. As for the latest Echo Dot, you get all the Alexa-powered skills that make it a great personal assistant for the home, plus the newer version has improved sound and a nicer general design. This story, "Buy a Ring Video Doorbell 2 on sale and get a free Echo Dot" was originally published by TechHive.